The 24.2MP sensor of this camera makes it possible to click beautiful still images and 1080p Full HD videos in their full glory. 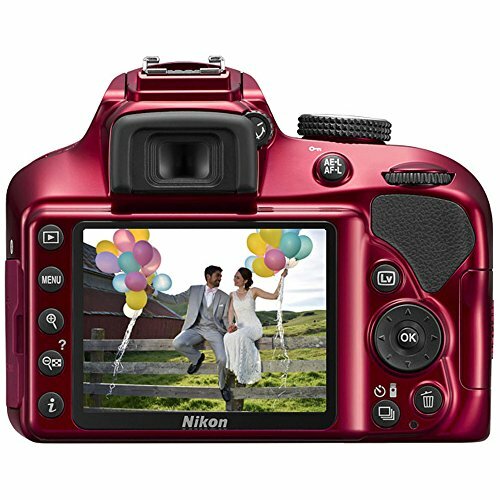 Footage captured with the Nikon D3400 HDSLR camera features tack sharp details, vibrant colors, and softly blurred backgrounds that are comparable to that of ace photographers. 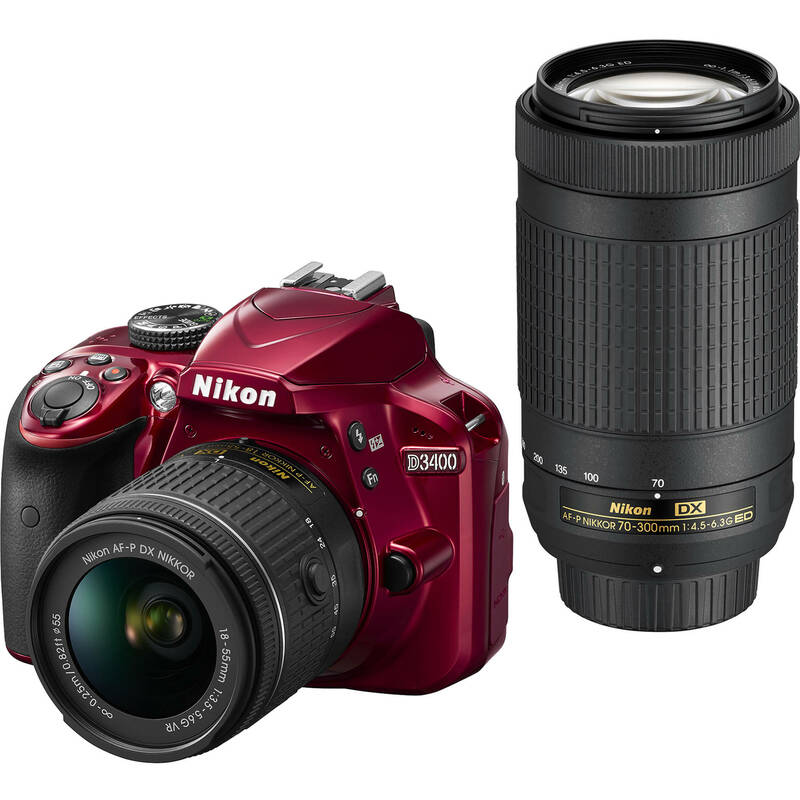 The camera comes with an ultra compact NIKKOR AF-P DX 18 to 55mm f/3.5 to 5.6 G VR II lens kit that offers enhanced controls while shooting those perfect images and videos. Improved functions like Easy Panorama Mode, 11 point Autofocus System, Active D Lighting, and more afford total control over every aspect of photography. Onboard editing features like Retouch Menu enable you to alter, crop, add special effects, etc. to your images right on the camera, without the need for special software. 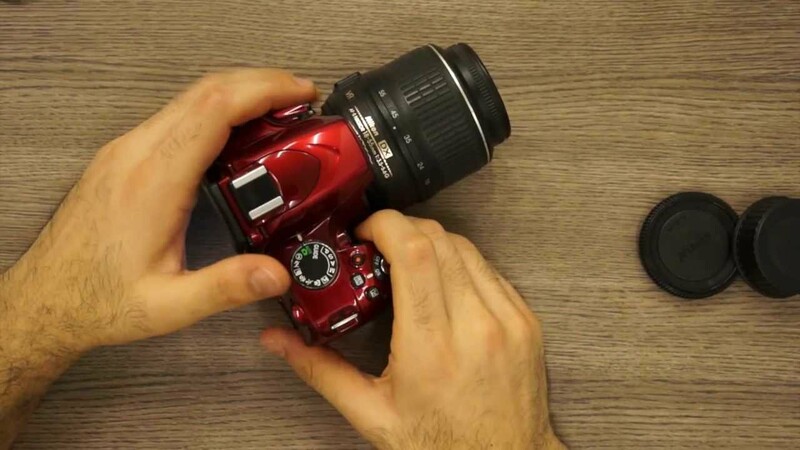 The Guide Mode on this advanced SLR camera provides step by step instructions while capturing these photos and videos. Six common Scene Modes and Full Green Auto mode even lets novices click stunning footage in an instant. You can transfer the photos and videos to your smartphones and tablets wirelessly, or shoot the footage using these devices by attaching an optional WU 1a Wireless Adapter. This cutting edge SLR camera comes in a jet black color. Attach the optional WU-1a Wireless Adapter and marvel as the photos you take with the D3400 instantly appear on your compatible smartphone or tablet. Share your favorite shots without missing a beat—text them, email them, upload them to your favorite social networking sites—it’s your choice! 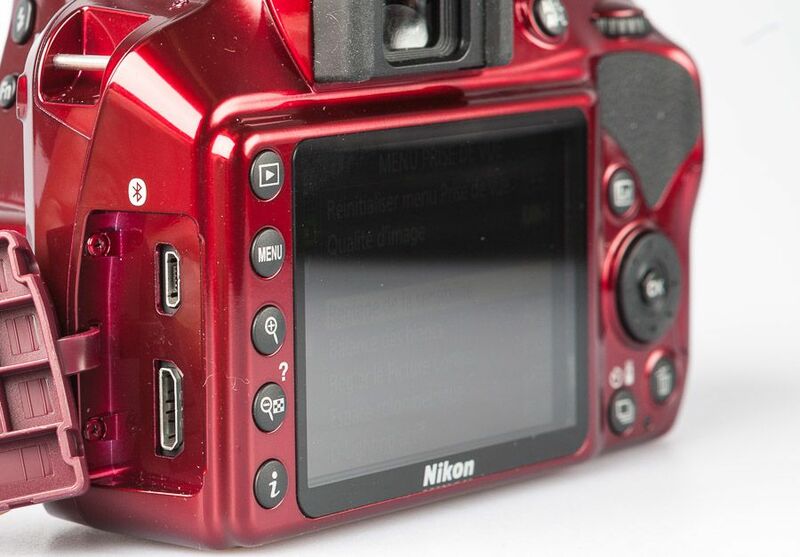 You can even use your compatible smartphone or tablet as a remote monitor for the D3400. See what the camera sees and fire the shutter, perfect for self-portraits and group photos that actually include you. The Nikon D3400’s optical viewfinder gives you a true view through the lens of the camera. It makes it easy to frame your shots, follow moving subjects, zoom in on objects, and do much more. The D3400’s 11-point Autofocus System locks onto your subjects as soon as they enter the frame and stays with them until you catch the shot you want. Even fast-moving subjects are captured with tack-sharp precision. And when you’re recording Full HD video, Full-time Autofocus keeps the focus where you want it. The 11 point Autofocus System of the D3400 locks onto your subjects as soon as they enter the frame and keeps track of them until you catch the shot. It also keeps the focus where needed when recording Full HD videos. Order the Nikon D3400 24.2 MP today and have it delivered to your doorstep within 1-3 working days or same day delivery within Nairobi. Payment on delivery.